20mm weaver / picatinny fittings. Overall height 68mm, width 44mm, thickness 18mm. Aluminium alloy with black anodised finish. Heavy-duty hex head rail clamp fitting. They will only fit rails with slots of at least 5mm wide. Please note it is £7 for a single mount (torches / lasers) or £12 for a pair (scopes). For Night Force, Leupold and other 30mm rifle scopes, laser and flashlights. 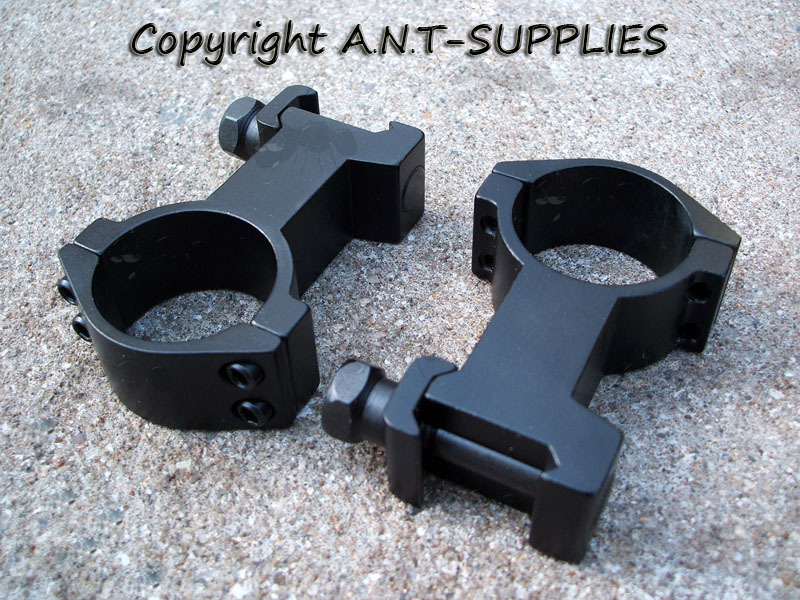 Link for 30mm to 25mm ring adapters. 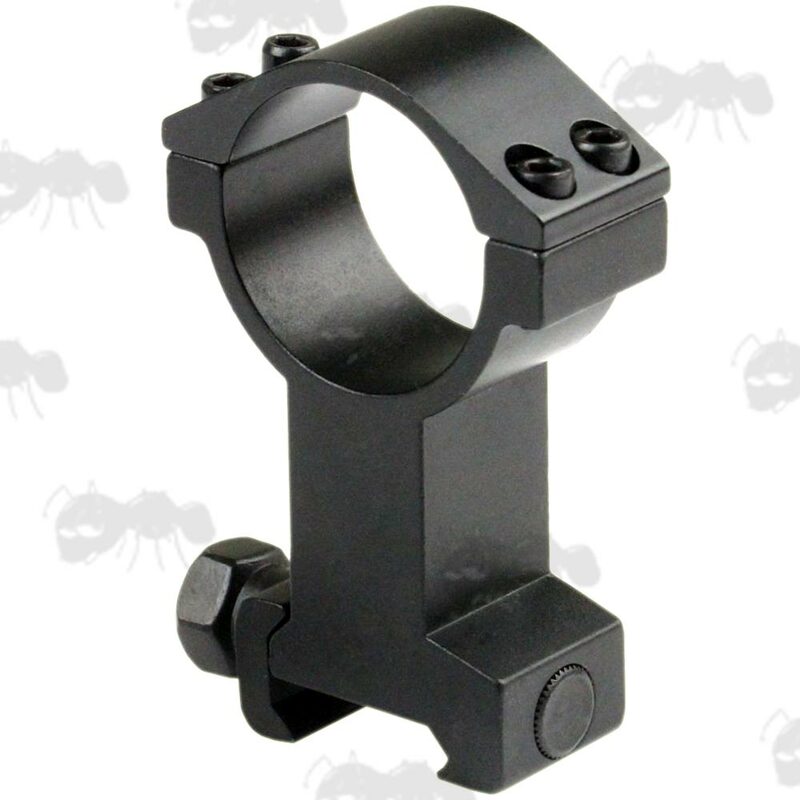 A similar version triple clamped scope mount is also available.